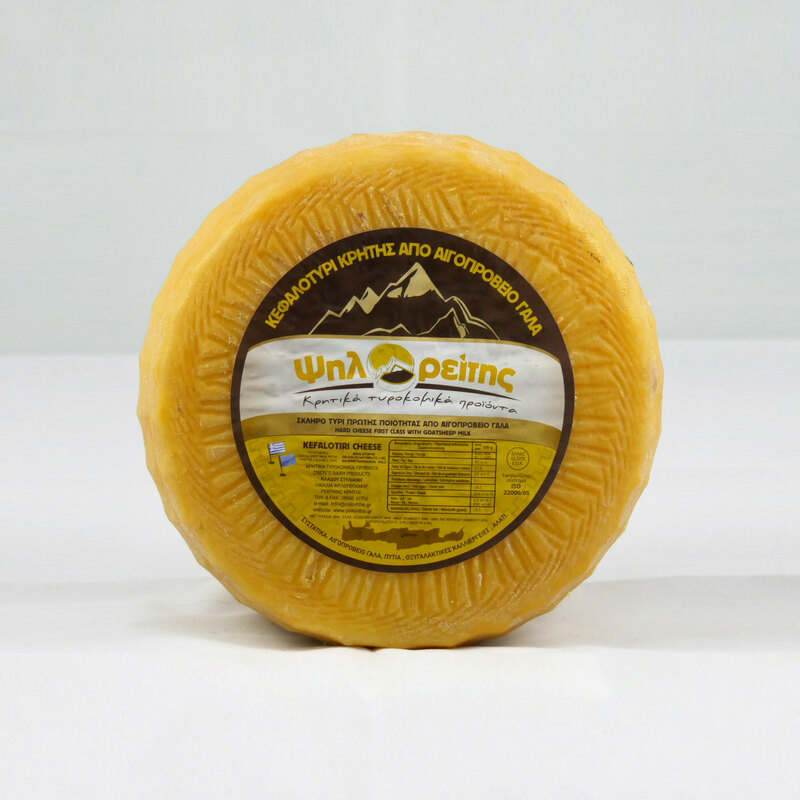 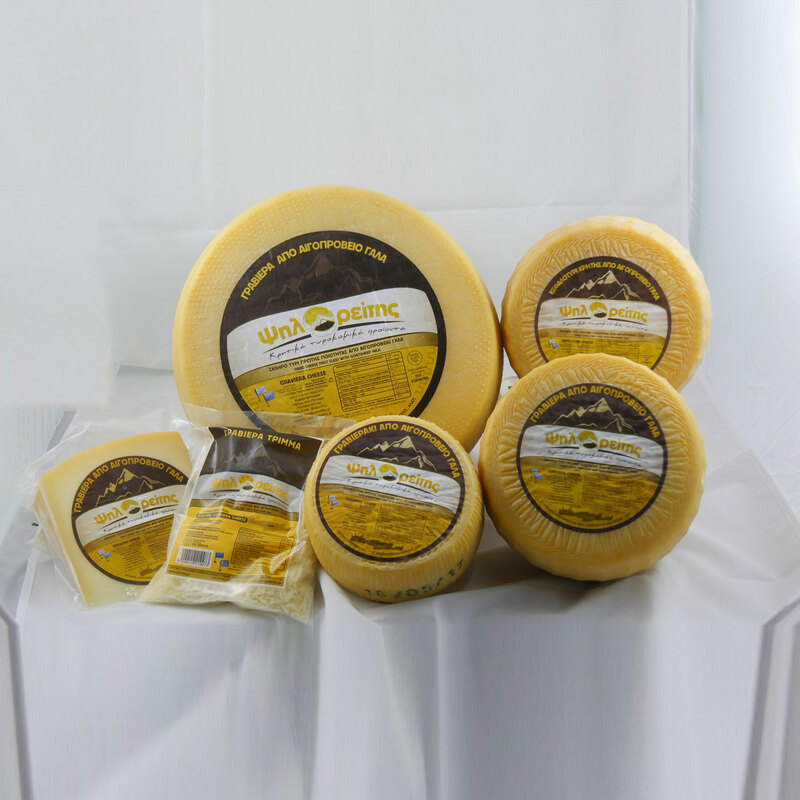 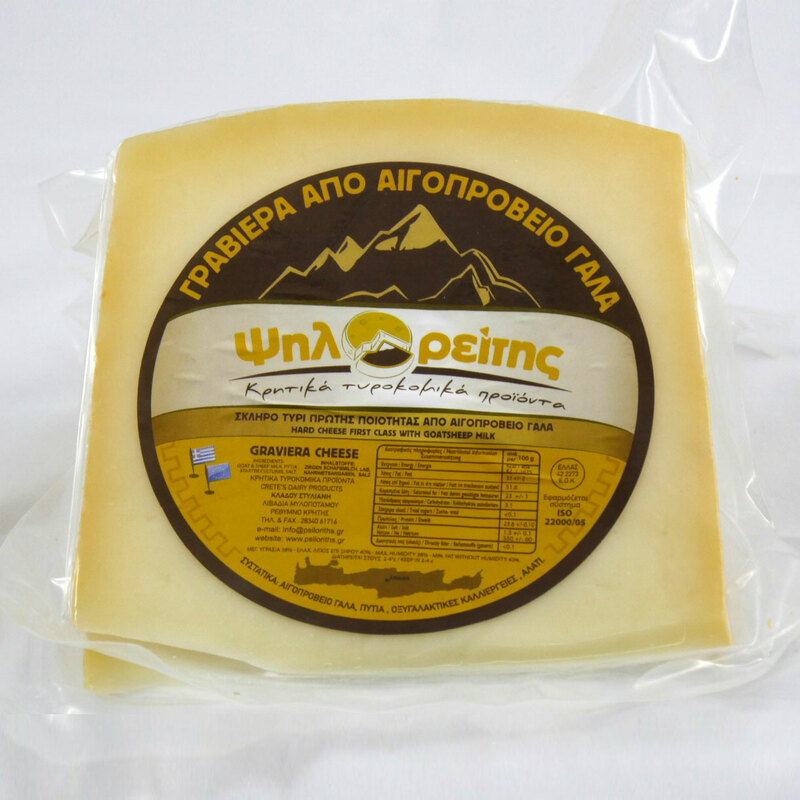 Cretan Gruyere is one of the most popular cheeses in Crete. 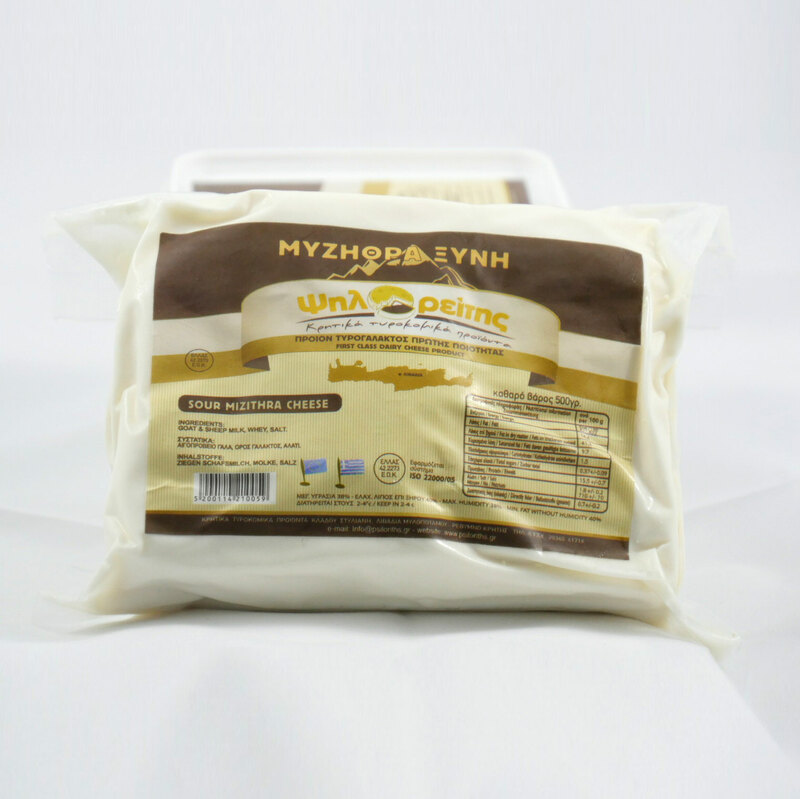 It is known for its excellent quality, the traditional way of its production, its pure ingredients and its unique pleasant taste. 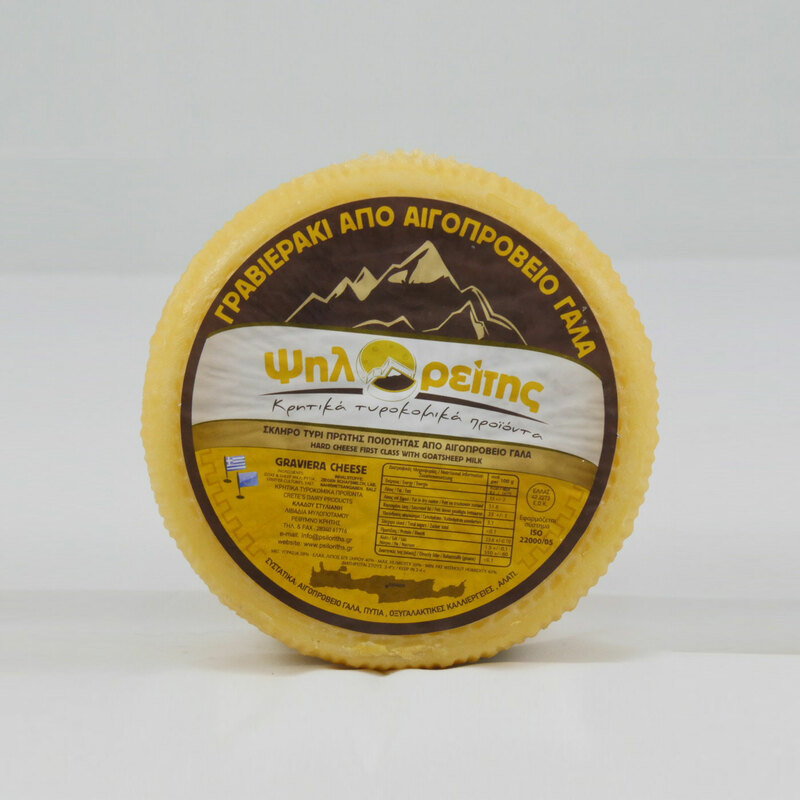 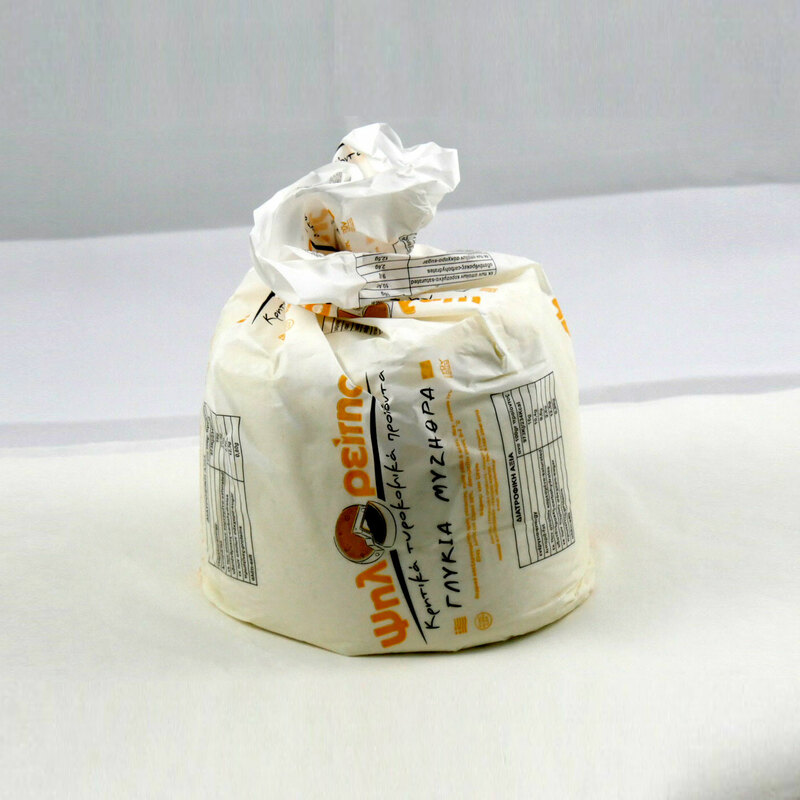 The Cretan Gruyere is characterized as a hard table cheese and it is a symbol of the traditional Cretan diet with a huge production history on our island which goes back through centuries. 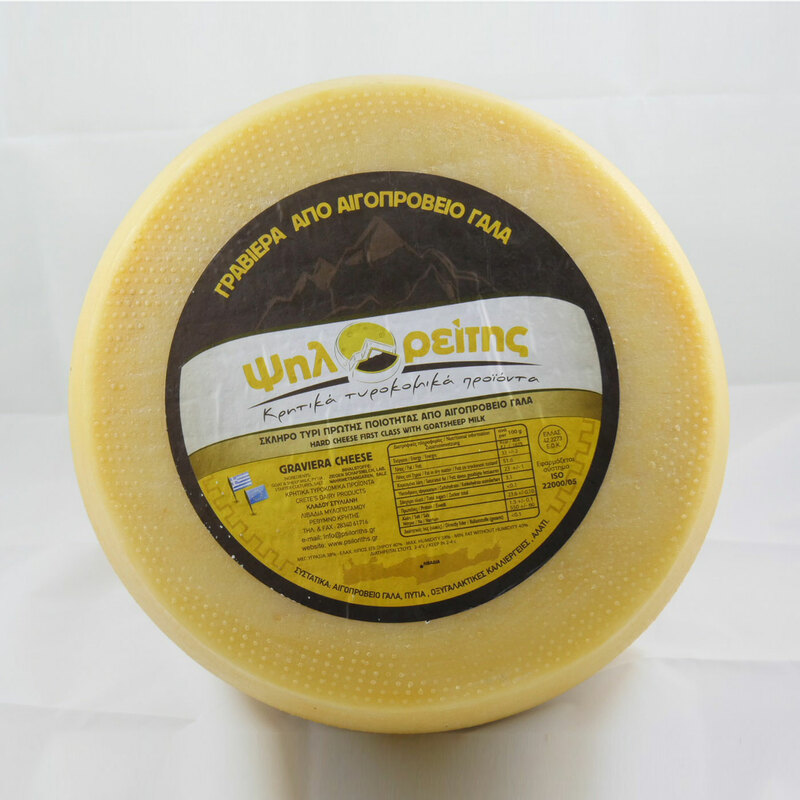 Its color is light yellow or slightly white with small round holes and natural skin and it has a particularly pleasant subtle and slightly brackish flavor with a rich aroma. 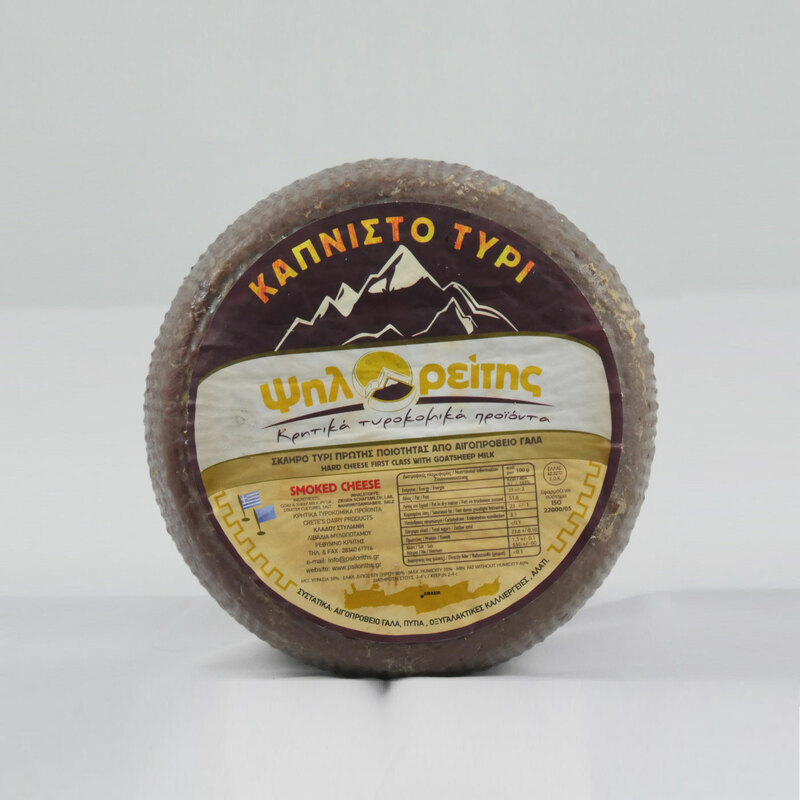 The Cretan Gruyere can be consumed on its own, with bread, with plain or barley rusks, with salads, sandwiches or honey and it generally accompanies all kinds of food on our table. 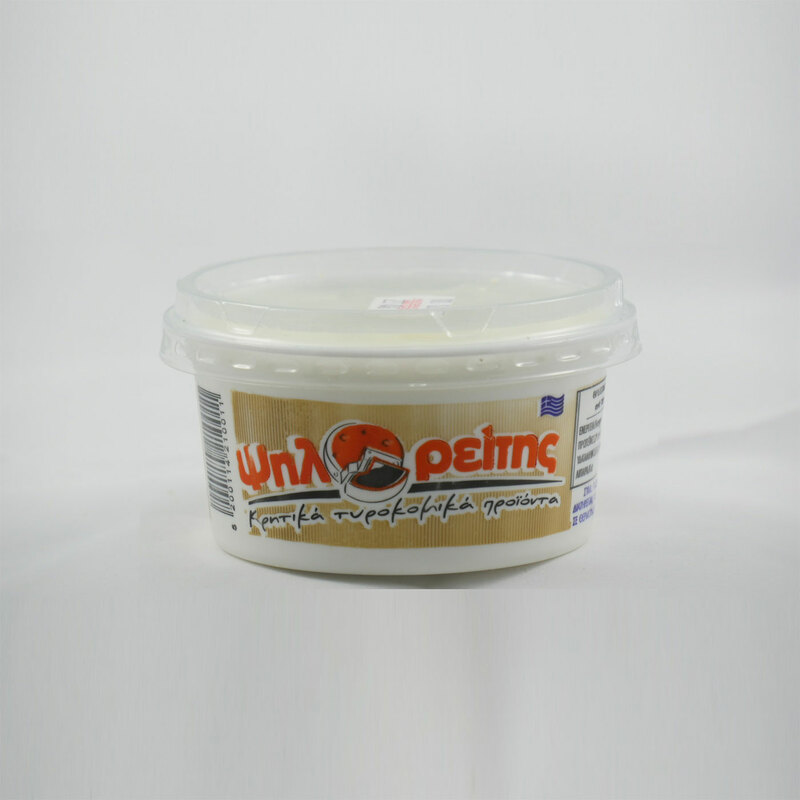 It is available on the supermarkets cutting table stands as well as in airtight packaging.